There is a lot of talk during Breast Cancer Awareness Month about all the pink we see. It’s on the news, in the stores and even on the football fields. While we’re talking about it, why not have a conversation that can really matter? It’s likely that you know someone who has been putting off getting a mammogram. Maybe she’s busy, maybe she’s scared it will hurt or maybe she’s afraid of the results. Women have many reasons for not getting this screening exam when they should. But the reality is that it matters. It is our best tool for finding breast cancer earlier, when it’s easiest to treat. This month, let the pink be a conversation starter. Ask your friends if they’ve gotten their mammograms. Talk to them about their concerns and encourage them to take care of themselves. Throughout October, we’re offering women a special incentive to get their mammograms at ella health, where we provide 3D imaging shown to enhance cancer detection and reduce false positives. 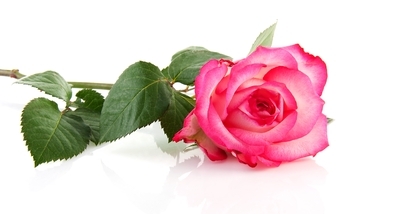 At Toms River, we are giving a pink rose to all patients. In Harrisburg, we have chocolate covered strawberries from Edible Arrangements. October 20th at the Point Pleasant Beach Making Strides Against Breast Cancer, Silver Lake Parking Lot, Point Pleasant Beach, NJ, 10 a.m. We will be in the Breast Health Tent before and after the walk. October 23rd at Razberri’s, 805 Fischer and Bay Ave., Toms River, NJ, from 11 a.m. to 6 p.m. Enjoy cocktails and healthy appetizers and get free pink hair extensions. ella health will cover the cost of the extensions with a donation to the American Cancer Society. October 27th at the Center for Health and Healing, 111 West Water Street, Toms River, NJ, for a free yoga class and 3D mammogram presentation. October 28th at Jenny’s Full Service Salon, 4500 Gettysburg Road, Mechanicsburg, PA, 12 p.m. to 8 p.m. Enjoy cocktails, healthy appetizers and a free service. You have some very good suggestions here.